Only God knows how proud we Nigerians abroad are whenever the Nollywood industry and its stars are mentioned! It is one of the fastest growing film and entertainment industries in the world and that is an undiluted fact! It’s incredible! In such a short time, this Nigerian industry has grown not only to be a precious gilt-edged industry but an envy of other movie industries in the world! Sorry, I can’t remember the last time I watched Indian or English films! Nigerian Nollywood industry has in such a short time given more jobs to Nigerians than UAC, Shell BP, John Holts; and Unilever have given in all the years they have traded in Nigeria! Nollywood does not discriminate! There is no colour, or racial prejudice in Nollywood industry! If you are short, tall, small; huge, fat, tiny, big-headed or whatever, Nollywood industry will create a vacancy for you to exhibit your talents! If you are smart, brilliant, idiotic, there will always be a part for you and no discrimination! My mother once advised me that I must not only cherish but at all cost protect anything I value so much! I completely agree with her. Nollywood stars are very precious and very valuable to us Nigerians because through their talents, Nigeria now wears an enviable vibrant and positive name as well as rub shoulders with many other movie industries in the world! With or without academic degrees, Nollywood has employment for you! Please, can anyone tell me the name of industries in Nigeria that have employed many Nigerians as much as Nollywood in such a short time? God knows how much I love those stars! These talented actors and actresses have made me and all Nigerians Proud! Do I have to name the stars or recite their names? No, because they are all precious and highly valuable ‘intellectual properties’ which need to be protected and cherished as my mother advised me. To all the stars, we say we love you and we collectively and individually deposit more than ten thousand kisses for you all! Oh, don’t forget to spread our love among you all as you keep making us and Nigeria nation happy and proud! I would be excited to see you follow my recommended eating habits because as I have already written, ‘we are what we eat’ and what we eat can most of the time influence our lives! I’m no diet guru but if you follow my advices, you will definitely see yourself sparkle mentally and physically! Let me ask you these questions: When did you eat fruits and vegetables including raw carrots last? Or when did you eat moi moi last? Last and not the least, when did you drink fresh ‘Queens’ pineapple juice last? You know, Nigerians cook decent dishes or diets. I have eaten them all including ‘Isiewu,’Ngwongwo’ and ‘Nkwobi! Please, don’t misunderstand me. They are rich and nutritious but frankly speaking, they don’t constitute balanced diets or a part of healthy eating. They are what we call ‘societal diet’ eaten merely to boost one’s financial egos! In reality, these three mentioned are junks and must be eaten in moderation! Egusi soups, Edika-ekong, Ewedu, Ofe Nsala, are good when eaten with pounded yam, Amala and ground rice to mention a few. Yummy! ‘Mouth-watering and finger-licking’ but must not be eaten three or five times a week if you really want to enjoy good health,fitness and long life! To be sincere, I have found that some simple diets hold the most important sacred keys to our good health and long life! Don’t misunderstand me for I mean no harm! You stars work very hard and you always need some sort of ‘pick me up’ meals. Why should anyone advice top guns like you on what to eat or what not to eat, you may ask? (a) to avoid OBESITY! Obesity is now an epidemic and a scourge of the western world! I can remember some of the women I knew in the 80’s with flat bottocks, have now grown large and hefty buttocks in the 90’s! Nollywood stars are equally included! The article continued, “Because more than one-third of children and more than two-thirds of adults in the United States are overweight or obese; the 7th edition of Dietary Guidelines for Americans places stronger emphasis on reducing calorie consumption and increasing physical activity.” We Nigerians are not only blessed but lucky! Many governments in Europe, America and other parts of the world spend billions of hard currencies a year to wade off obesity and many other related diseases among their citizens. The article I have just quoted should be an eye opener for you Nollywood stars! With our wonderful sunshine and organic fruits, vegetables, regular exercises and good simple healthy diets, you should have good health and live long! Breakfast: One poached egg eaten with Quaker oats porridge, one lightly buttered slice of toast and a glass of fresh Queens’s pineapple juice, plus a glass of cold water and one fresh peeled orange. You have the freedom to change as long as you remember that you don’t need a heavy “Belefos!” Alternatively, try only home made “Akara balls” with tea and a glass of fresh Queens’ pineapple juice. Make a habit of eating one fresh fruit after every meal and a glass or more cold water every day! Lunch: Moi moi attractively cooked and presented as seen in my Website. Add the following healthy combinations such as cucumber, boiled carrots, mushroom; lettuce, broccoli, cauliflower and runner beans. You can add chunks or cubes of Queens’s pineapples, drink fresh orange juice and of course a glass of cold water! You may wonder why I recommend moi moi in your healthy diets. The reason, is because through my researches, I discovered that moi moi has one of the greatest healthy eating qualities than many other diets! 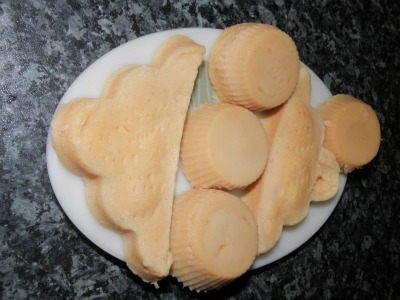 I have also transformed moi moi by introducing different designs, moulds, wrappers and containers. You will see the ones I dedicated to Nollywood stars! The designs and presentations are supper! Read more about moi moi inside the website. See the various eating combinations. You have to ask your cook/cooks to adopt such designs. 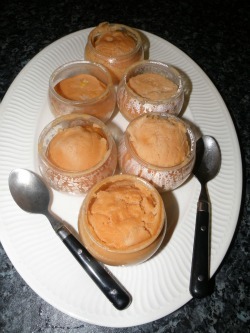 Please don’t overlook moi moi because it holds a very precious key to your healthy eating habits. I’m sure you will enjoy every bit of the creative transformations of moi moi! Dinner: Moi moi eaten with the following combinations: Water cress, water-melon, cucumber, lettuce, mushroom, broccoli, boiled fluted pumpkin ‘Ugu’ leaves, preferably, large portion. Include grapefruits and banana. A word of warning: don’t eat grape fruits if you are taking any medication for Cholesterol! Try my favourite dish: Soft and tenderly fried pieces of goat meat submerged in fresh ground pepper eaten with moi moi and boiled ‘Ugu’ leaves. Follow up with a glass of any fresh juice of your choice and any fresh fruit. Do you know that eating a stick of fresh carrot a day can not only enrich your life but can constitute a healthy eating diet? Eat one everyday! WEEK END: You have the freedom to eat with your loved ones, family and friends the best diet money can buy! Instead of jolloff rice, go for savoury or rice with mushroom, onion and chicken stew without palm oil. The choice of what you eat at week ends is all yours! In short, let your loved ones determine that. But in all these, remember that you need physical exercises every day even if it means 30 minutes a day! Join a golf, tennis, football, or badminton club and spend at least two hours at your chosen game per week.You need fitness too live long! Reserve pounded yam, garri, amala and their faithful companions like Egusi, Edika- ekong, Ofe Nsala and Ewedu soups for the weekends too. Of course, you can add lobster with moi moi, boiled ‘ugu’ leaves, mushroom and cucumber. BOILED FLUTED PUMPKIN (UGU) LEAVES: I have discovered that boiled UGU leaves are not only nutritious, but medicinal and constitute a healthy eating balanced diet second to none when eaten on its own or with moi moi, boiled or cooked goat meat, fresh fishes, sliced or braised chicken breasts, or shredded duck, guinea fowl, or geese! This is a smart diet! What are you waiting for? These are what I call simple but ‘knockout’ healthy eating diets fit for the kings as well as for the Nollywood stars! Enrich the boiled ugu leaves with all kinds of spices and seasonings and eat and drink the sauce like pepper soup. Please give these a try! You have your health and long life in your hands. Eat well and live long! Yes, eat well and remove obesity and avoid chronic diseases! For weight-watchers, regular eating of ugu leaves is highly recommended! You can eat ugu leaves with anything or any food and vegetable combinations and achieve good health and long life! Please endeavour to read my article featured in this website entitled “Edika-ekong” the soup of the gods and the mother of all Nigerian healthy eating soups! You must follow religiously the habits of eating fruits after every meal each day and don’t forget to drink as many glasses of cold water as well. Eat more fruits and vegetables because they are natural, extremely beneficial and good for your body and most importantly, constitute healthy balanced diets second to none! You must equally eat fresh fishes at least three times a week and go for the biggest! Learn more about Nigerian food culture. From "Healthy Eating Advice For Nollywood Stars" To "Healthy Eating Recipes - How To Achieve Long Life With Nigerian Food"